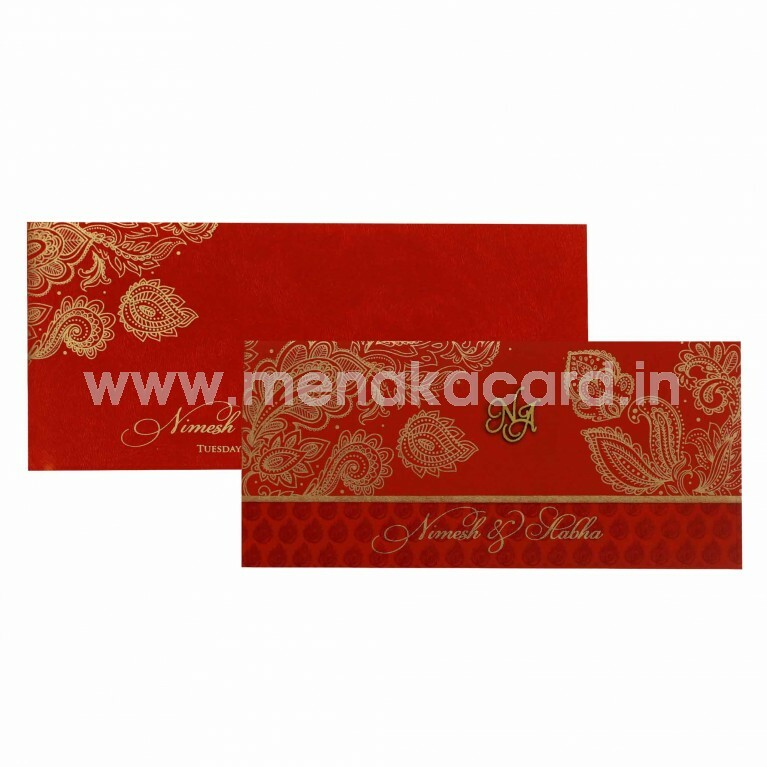 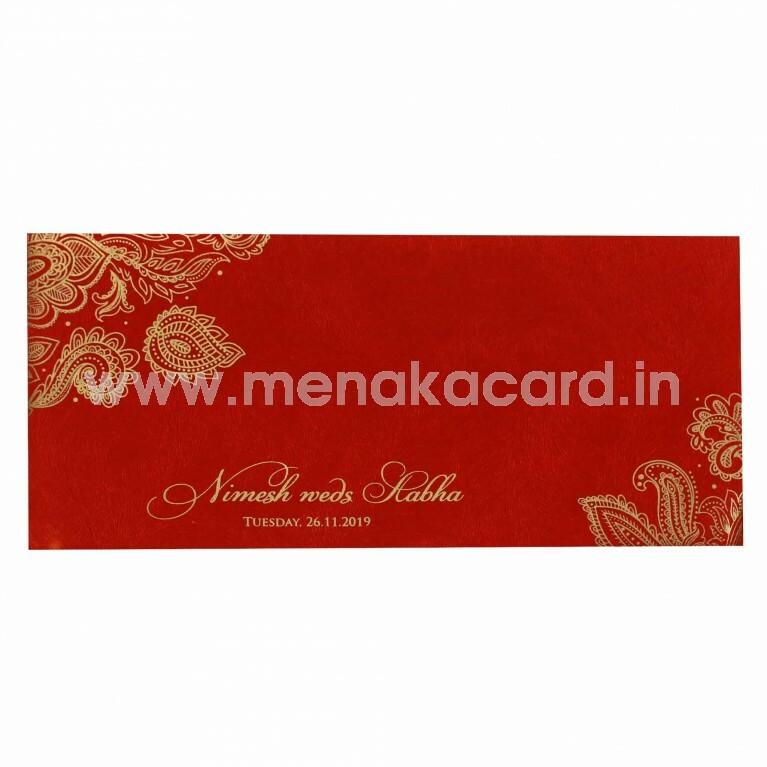 This Divine Vermillion red card has a laptop fold and is made from a texture printed matte finish artboard. 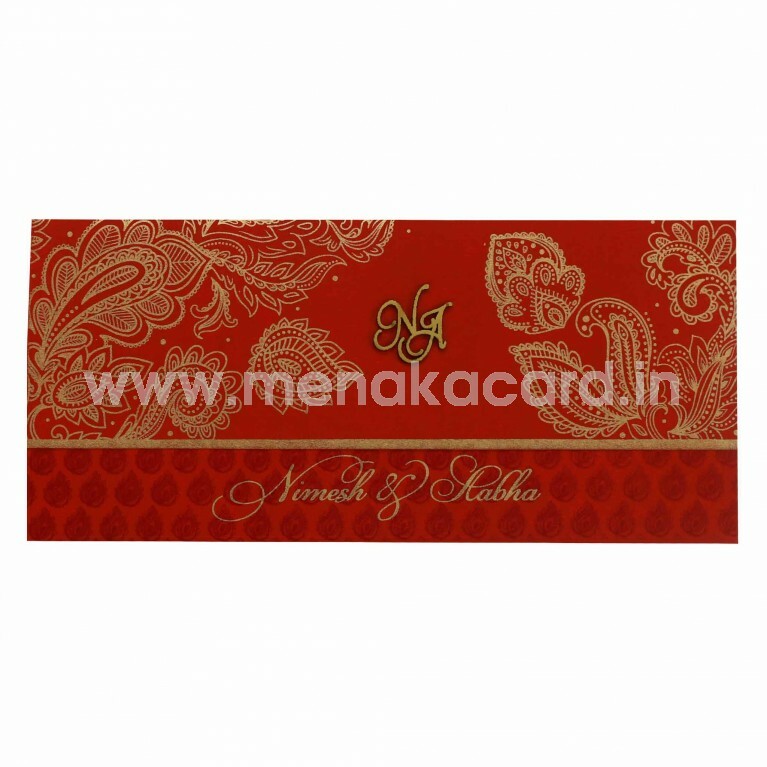 The main flap of the card has a gorgeous gold ink design similar to the mehendi on the bride's hands with the initials of the couples in a laser-cut sticker emblazoned in the centre. The card holder flap contains a dainty deep maroon mango paisley lancer print on it and holds the 2 default inserts available in four colours. 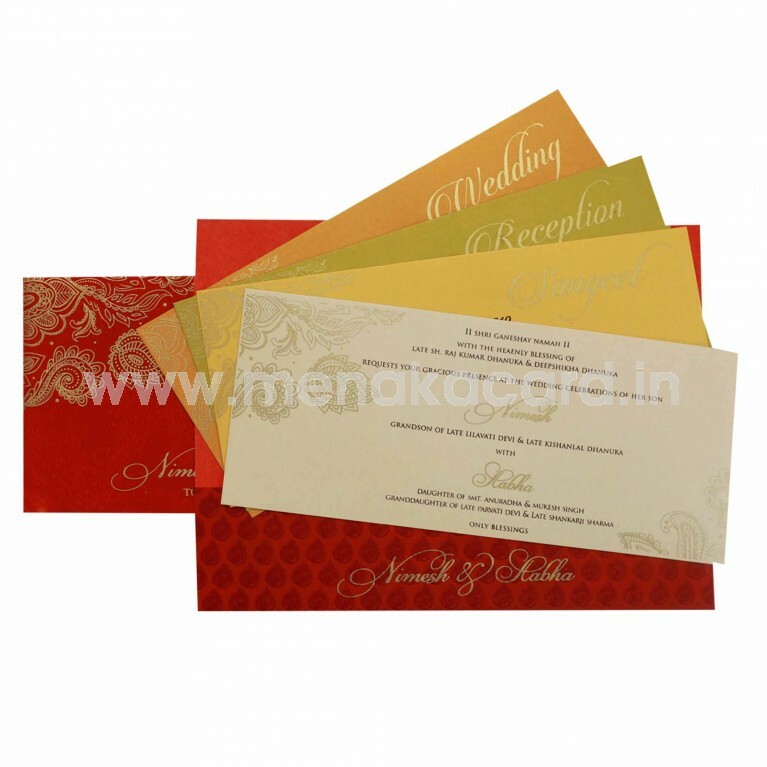 This can be used for Hindu, Muslim and Multi-faith weddings, puberty functions, upanayanam etc.